Apple has posted a new video to its YouTube channel, this time showing off the Portrait Lighting mode feature of its newly released iPhone 8 Plus. 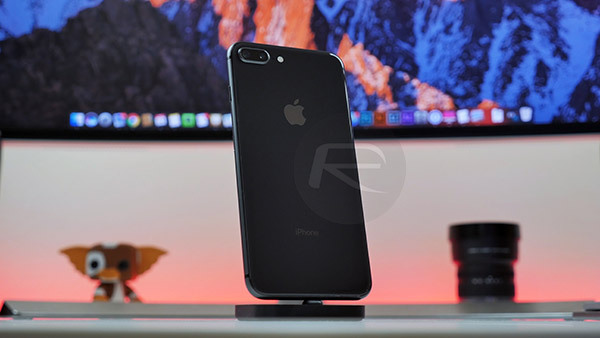 The video is not the company’s longest video, weighing in at just over half a minute, but covers the new capabilities afforded by a feature that is already proving popular with new iPhone owners. The video covers the new options afforded by the Portrait Lighting feature including Studio Light, Natural Light, Contour Light, Stage Light, and Stage Light Mono. As of right now, Portrait Lighting is dubbed as a beta by Apple although it is obviously allowing anyone with an iPhone 8 Plus to use it. In fact, that particular iPhone is the only one able to take advantage of Portrait Lighting right now, although the iPhone X will also offer it once it goes on sale on November 3rd. Portrait Lighting on iPhone 8 Plus lets you create dramatic studio lighting effects in Portrait mode. While Portrait Lighting is indeed currently an iPhone 8 Plus-exclusive feature, that is far from the new iPhones’ only trick. Early buyers of the handset have confirmed that the new A11 Bionic CPU is as fast as benchmarks had suggested, with the CPU making light work of apps and intensive tasks alike. Couple the new camera capabilities with the additional horsepower afforded by the new CPU and the iPhone 8 Plus is quite the smartphone. Of course, the spectre of the iPhone X looms large, and once it goes on sale, the iPhone 8 Plus will unfortunately be yesterday’s news. And no number of YouTube videos will stop that from being the case. I don’t understand why you need a faster processor. My 6S never lags on anything, even recording 4K lol. Every app I have loads in like 1-3 seconds lol. I love my 8 plus. I had no desire for the X. The X is great device but the 8 plus has everything I need. I can’t justify spending $1,000 for a cell phone. Can’t believe people are forking out almost a grand for the note 8 and it can’t even beat an iPhone 7 performance wise. 8 plus is a monster phone.